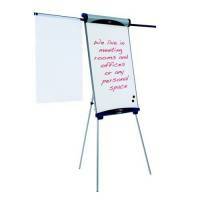 Initiative Flipchart Easel With Drywipe Surface and Pen Tray Pack of 1 Height adjustable legs. 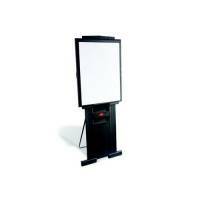 Q-Connect Deluxe Magnetic Flipchart Easel KF01775 Pack of 1 Q-Connect Deluxe Flipchart Easel with integral magnetic drywipe surface. Variable height settings, can be used floor standing or desktop. 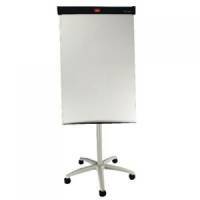 Smart modern design to suit any office, pad clamp instantly adjustable for both European or US flipchart pads. 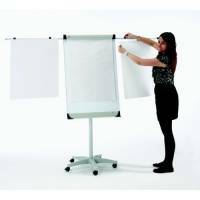 Q-Connect Flipchart Easel A1 KF04173 Pack of 1 Q-Connect flipchart easel suitable for A1 flipchart pads. Height adjustable with telescopic legs allows easel to be used on the desk or table. Complete with full length pen tray. 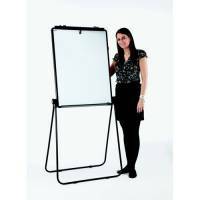 Nobo Shark Drywipe Magnetic Flip Chart Easel With Side Arms Pack of 1 Capture ideas and thoughts. 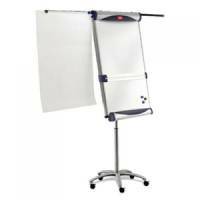 Nobo Piranha Mobile Flipchart/Drywipe Easel Blue/Silver 1901920 Pack of 1 Mobile flipchart easel with framed magnetic drywipe surface. spring assisted flip up pad clamp. Sliding hooks accept most pads. 2 extending arms to display 3 of sheets paper. Removable writing rule for Straight lines. Folding pen tray. Height adjustable. Nobo Classic Steel Mobile Easel Pack of 1 Once in use the three castors lock in place to ensure stability. 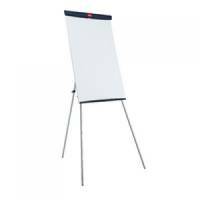 Nobo Classic Flipchart Easel Pack of 1 A-frame design ensures stability during use. 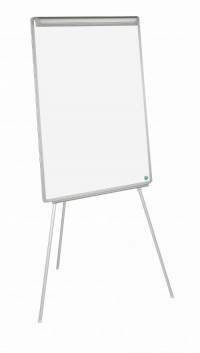 Earth-it Flipchart Easel Euro 600x850mm Pack of 1 Top quality non-magnetic writing surface height adjustable telescopic leg adjustable flipchart simplex aluminium frame made from 100% post-consumer and post-industrial content recyclable. Nobo Classic Steel Footbar Ex Arm Easel Pack of 1 Standard base for use in one room. Nobo Duramax FlipChart Easel Pack of 1 Tough; durable; heavy use easel. 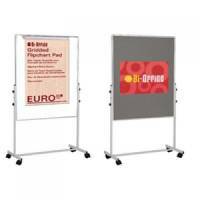 Bi-Office White Portable Duo Board and Flipchart Easel EA4724075 Pack of 1 Bi-Office Duo Easel. Double-sided, aluminium framed, mobile easel with a melamine drywipe board on one side and a Grey felt pinning surface on the other. Completely mobile and fitted with locking castors. Size: 1200mmx790mm. Earth It Tri Pod Easel A1 Pack of 1 Bi-office Earth-it tripod easel. 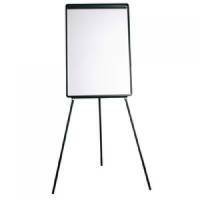 Adboards Mobile Flipchart Pro Pack of 1 Magnetic dry wipe surface. 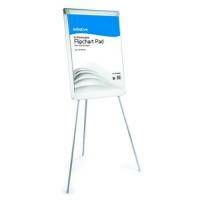 Adboards Excellence Height Adjustable Magnetic Flip Chart Black Pack of 1 Accepts A1 flip chart pads. 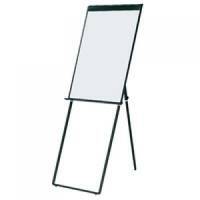 Adboards Mobile Magnetic Drywipe Easel 1500x1200mm Pack of 1 Lightweight robust steel frame.